We absolutely love exploring caves. Big and small, short and tall, deep or shallow, caves always offer a sense of mystery, discovery, and adventure. We have hiked caves, swam into caves and even SCUBA dived through caves, and we can’t get enough! C and D were introduced to caves early on. We started with visits to small, local caves. They had the opportunity to experience crawling through tight spaces, using headlamps as their only source of light. As they are getting older, we are bringing them to, or thinking about re-visiting some of our favorite caves with them. By doing so we hope to expand their experiences and challenge their comfort zones a little more. 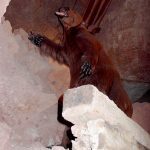 With that said, some of the caves we would love to bring them to are included in these 9 incredible caves you can visit with kids. Werfen Ice Caves in beautiful Austria, is a truly incredible experience. Werfen is the largest ice cave in the world and features stunning natural ice sculptures. At over 30 miles in length, a guided tour is the only way to explore the caves. The tour lasts about an hour and a half. To get to the caves you must go on a 20-minute hike from the parking lot. Next, you go on a stunning cable-car ride over the mountains. This is followed by another 20-minute hike up the side of the mountain. The views are breathtaking. Then, the tour brings at the mouth of the cave. After a kilometre into the cave, you are treated to views of ice giants, cathedral-like caverns and loads of stalagmites and stalactites. 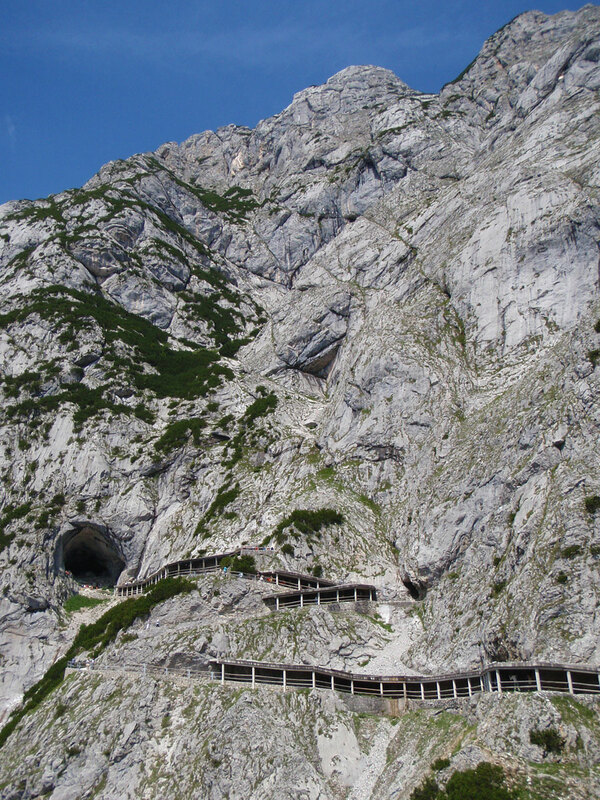 Kids will love the ascent in the cable car, chilly air, amazing views and sense of exploration and discovery that the Werfen Ice Caves has to offer! As far as caves you can visit with kids go, Grand Canyon Caverns is a great place to start. Located along historic route 66 in Northern Arizona, Grand Canyon Caverns is the largest dry cavern in the United States. The visit starts with a 21 story elevator ride. The cave features a constant temperature of 14° C (56° F) and no humidity. 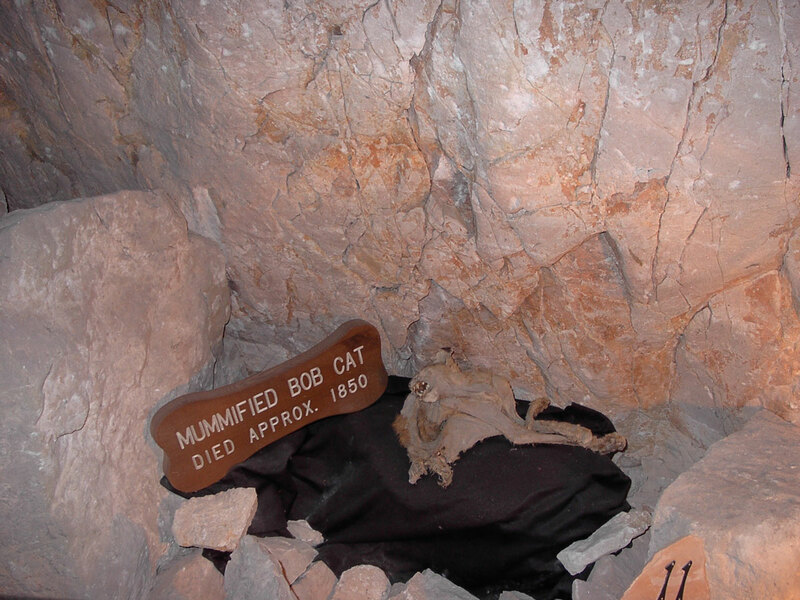 This feature helped ensure the mummification of the resident bobcat and giant sloth. The creatures once met their ends after falling into the cave. Age requirements vary based on the tour but start at ages 5 and up. The Explorers Tour is for adults only. Grand Canyon Caverns even offers a “Ghost Walk” where visitors can use EMF metres to register spooky activity. There are also opportunities to spend the night in the caverns. 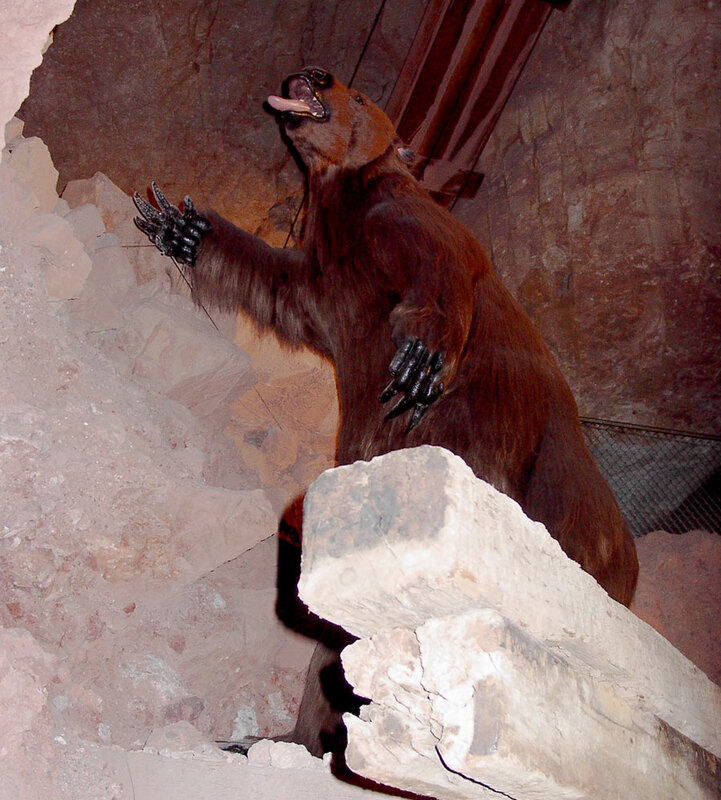 Kids will love the accessibility, the fun and exciting stories, and the stories of the animals discovered in the caves and it’s one of the must see places in the American Southwest. When most people think about Bermuda, their thoughts stray to pink sand beaches and gorgeous coastal drives, but minutes from the airport, something just as beautiful lies below the surface of this Atlantic island. 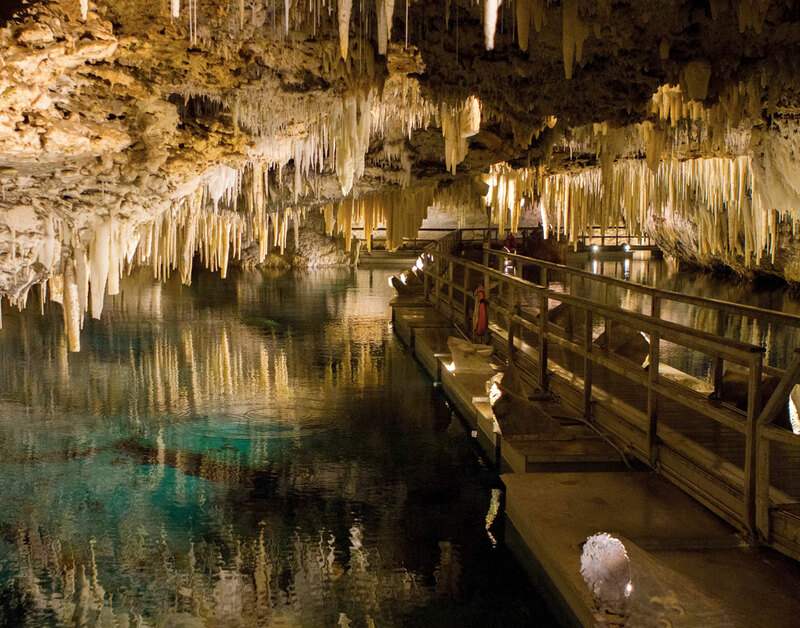 Bermuda features two spectacular caves, Crystal Cave and Fantasy Cave. 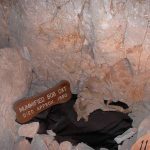 We only had the opportunity to explore Crystal Cave, but we certainly weren’t left wanting. With cave ceilings lined with stalactites of every conceivable shape and style mirrored by crystal clear glassy blue water, Crystal Cave offers stunning views that are accessible to nearly anyone capable of walking. Kids will love the low ceilings and chandelier clusters as well as the story of the how the cave was discovered by two young friends playing ball. People don’t often think of Jordan when it comes to caves you can visit with kids. However, within the Petra mountains sits one of the 7 new wonders of the world. Petra, Jordan is an entire city built inside the walls of rose-red sandstone cliffs. The caves date back thousands of years. The caves were homes, temples, livestock barns and more for millennia. Impressively, they offer examples of unique Roman architecture. 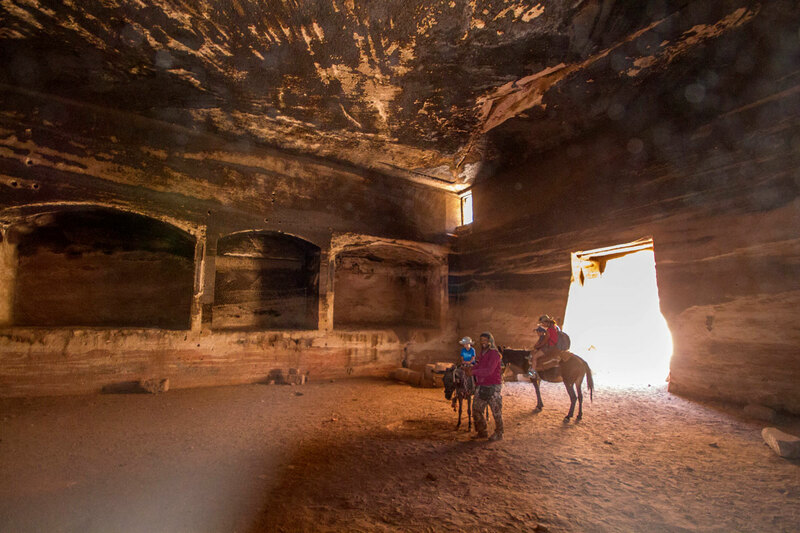 Many local Bedouin guides once lived in these caves themselves and can offer intimate accounts of their lives among these ruins. Kids will have a blast exploring the easily accessible caves and discovering the incredible colours of the stones, but beware of the smell, a lot of these caves are still used for keeping goats during bad weather! Songhellir Cave is a few hours outside of Iceland’s capital of Reykjavik. It is small, but its compact size has it bursting with incredible mythology and history. Songhellir is dubbed “The Cave of Songs” due to the music made when the wind passes through it. Songhellir is also a key place in the Fairy and Elf mythology of Iceland. Many locals still believe that these mythological creatures live among the mountain paths. 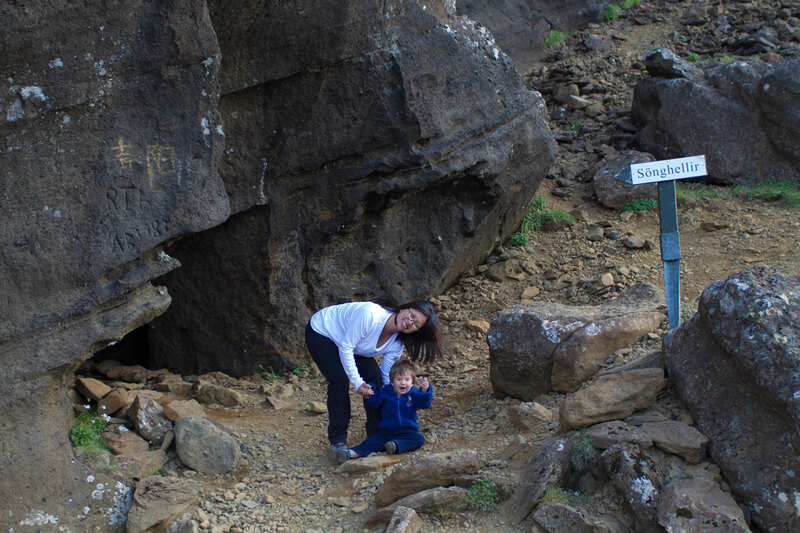 When you’re visiting Iceland with kids will love seeing all the graffiti carved into the cave. The carvings date back hundreds of years and feature names and messages from travelers new and old who have taken shelter in the cave. 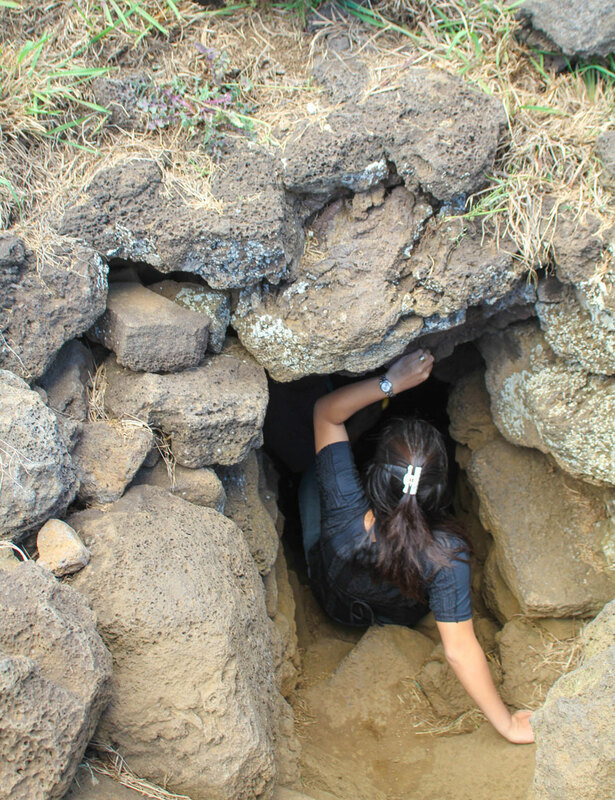 Two Windows Cave is barely noticeable to outsiders, located near a horse field just outside of the town of Hanga Roa, but when you climb inside, it instantly becomes evident as to why the locals love it so much. The cave is one of the great things to do in Rapa Nui beyond thee Moai, and offers a stunning window over the sea that we fell in love with! 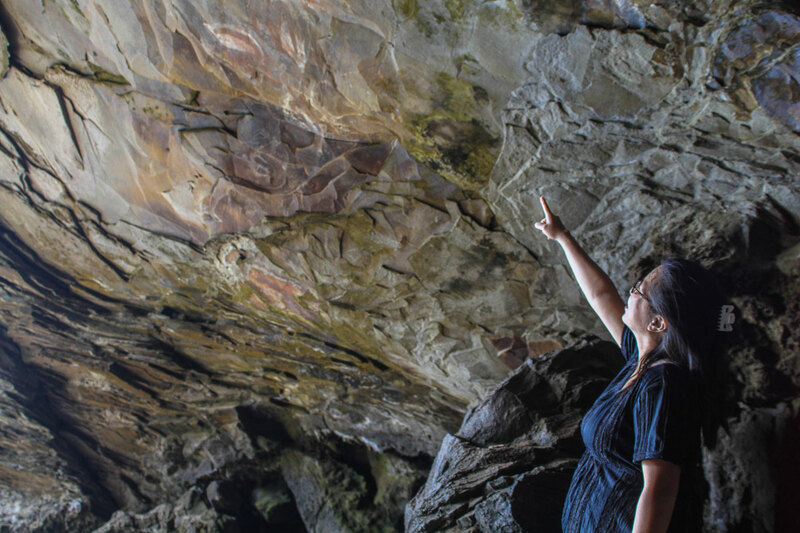 Nearby there is a secondary sea cave that features ancient pictographs from local islanders. This is an easy walk, and much less maneuvering is required for a visit. These are great caves you can visit with kids. Kids will love scrambling into the hole better suited to their small bodies than Christina’s 6 months pregnant frame, but watch the sharp drop at the window. Located in the Ocean View suburb on the south side of the Big Island of Hawaii, Kula Kai Caverns offers a chance to explore an incredible thousand-year-old lava tube system. 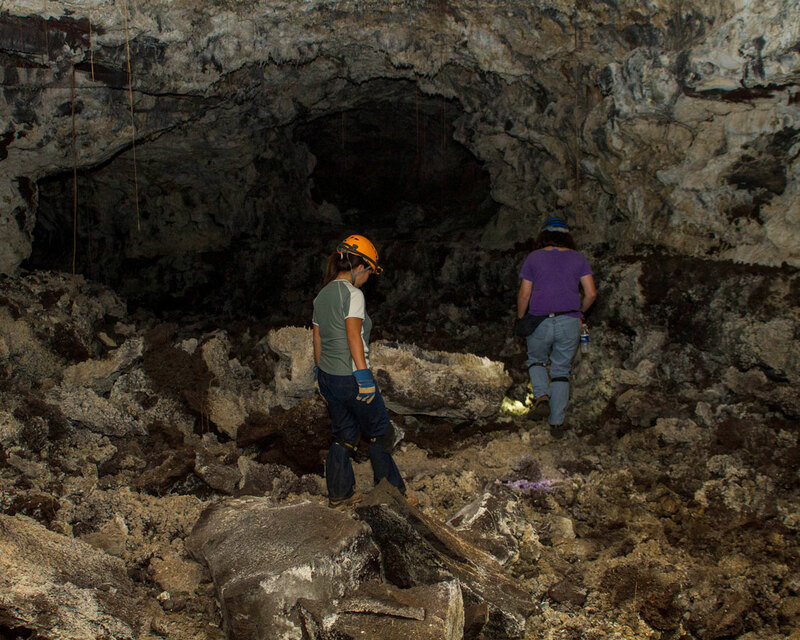 The lava tubes are on private property. Recent lava flows cover the area. Tours are by reservation only. They offer tour packages such as the lighted trail (ages 5 and under are free), the Craw, and a complete two-hour tour (ages 8 and up). The experienced guides of Kula Kai Caverns explain the science of the caves and the history of their use by the local Hawaiians. Kids will love scrambling over the large boulders and envisioning the rivers of molten lava that once coursed through these incredible tubes. Actun Tunichil Muknal, or as it’s more popularly referred to as, ATM, is one of the most popular Mayan burial sites in Belize. 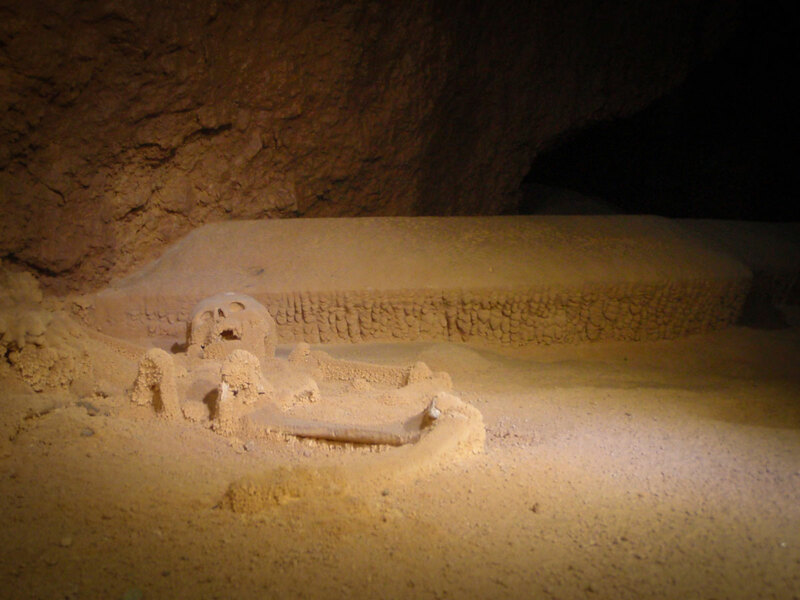 The cave system contains four complete skeletons, the most famous being that of a young girl. Her remains shimmer with a crystal-like appearance due to the natural processes of the cave. 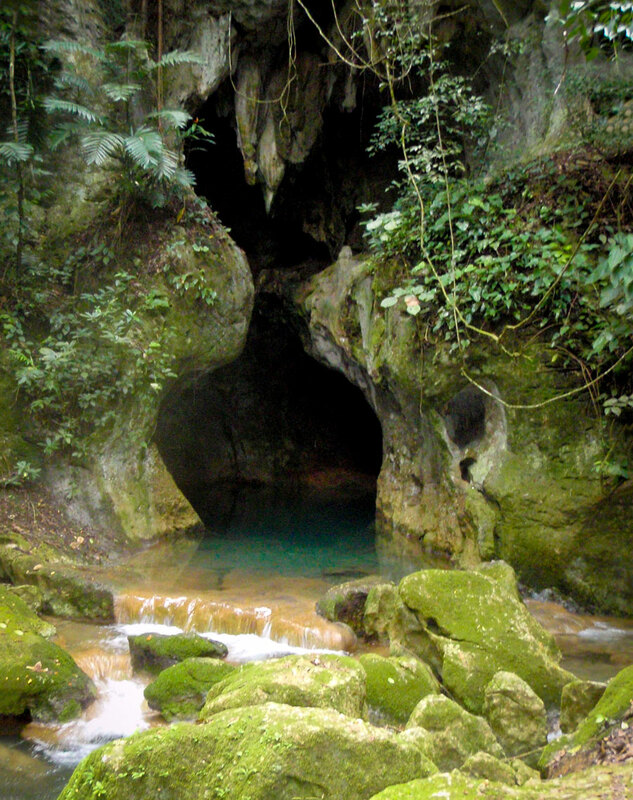 These caves you can visit with kids requires a 45-minute hike through streams and jungle before reaching the cave entrance. The hike is done in sock feet to prevent damage to the cave and the artifacts within it. Once reaching the beautiful entrance, you do a short swim through a river into the cave entrance as well as wading through water several times within the cave. Kids (ages 10 and up) will love the excitement of swimming through the cave entrance and the intimate experience amongst the ancient Mayan artifacts. Coming upon the skeletal remains is a humbling experience as well. With 10 caverns mapped over a total of 2,700 metres and a cavern reaching up to 35 metres in height, the Venado Cave system, located near the Costa Rican town of Arenal is a must visit for anyone interested in caves. The system features underground waterfalls, unique geological formations and incredible cave wildlife including vampire bats, blind fish, and stingerless scorpions. The Venado systems are complex caves you can visit with kids. Visits are restricted to children over 10 years old because of the tight squeezes and climbs in the cave. Some of the spots require you to crawl through tunnels. So there only a few inches of breathing space between the water and the ceiling. 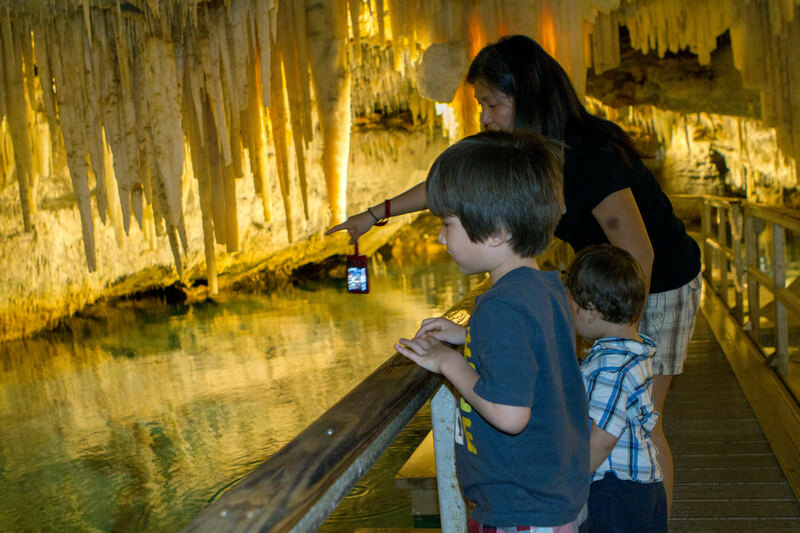 Adventurous kids will love the underground waterfalls and the very cool wildlife found among the caves. Just make sure to bring a change of clothes, because you will get very wet! 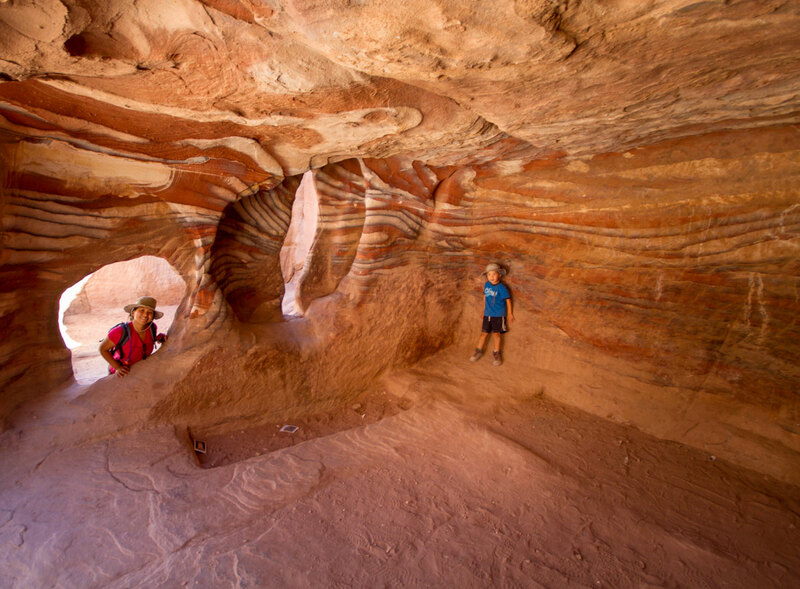 Many caves are amazing playgrounds for kids. They offer exploration, mystery, excitement and a chance to learn about geology, biology, and history. If you plan to explore, make sure you do it safely. Research the cave before you go, make sure you have the appropriate equipment or go with a guided tour. I also can’t stress enough that if your child says that they don’t want to explore anymore, then it’s time to get out. Never push your child past their boundaries. You can always re-visit a cave. However, a bad memory can keep them from wanting to even attempt another visit in the future. 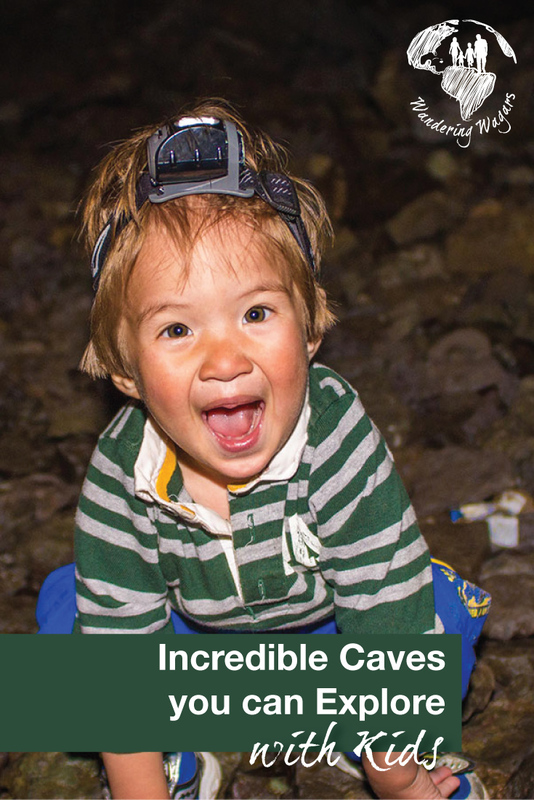 Are there caves you can visit with kids that interest you? 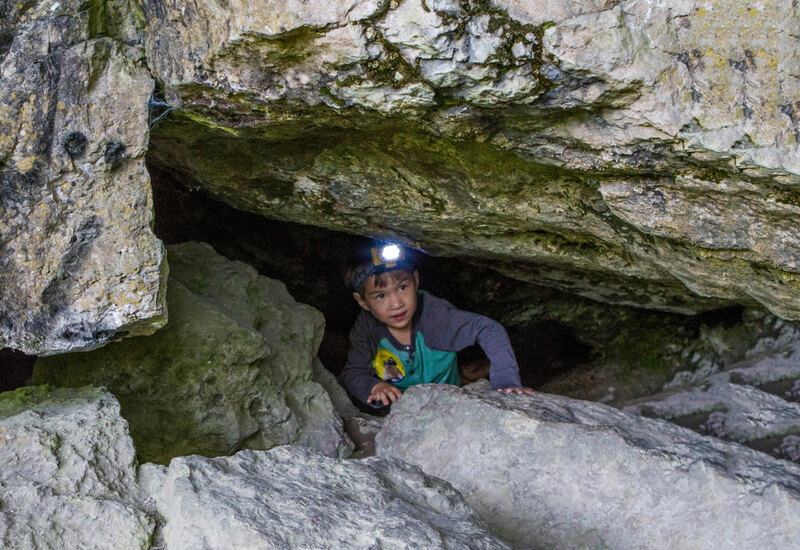 If so, here is a great resource to explore with your children: Spelunking with kids – basics. Now you have me obsessing over caves! Would love to visit an ice cave and the caves of Petra look so cool! Very good take on caves for the kids. As for me, I love caves, these ones are incredible. I would definitely do these activities with my future kids! Well I don’t have any kids, and I am not a big fan of caves BUT if I’d have them in the future, after seeing the beautiful images you where able to capture, I might pull it together and take them there. Once I went into a cave in the caribbean it wasn’t the greatest feeling but it was really impressive, I think the thought of having the rock on top of my head scares me hahaha. Anyways one of the caves I’d love to visit, listed in your post, are the Crystal Caves, which was your favorite one? How interesting! This isn’t an activity I’d normally think to bring kids to but you make some good points! Wow! All of these sound amazing! I love caves, and try to find them wherever I’m traveling–it’s true that some tours aren’t that kid-friendly. 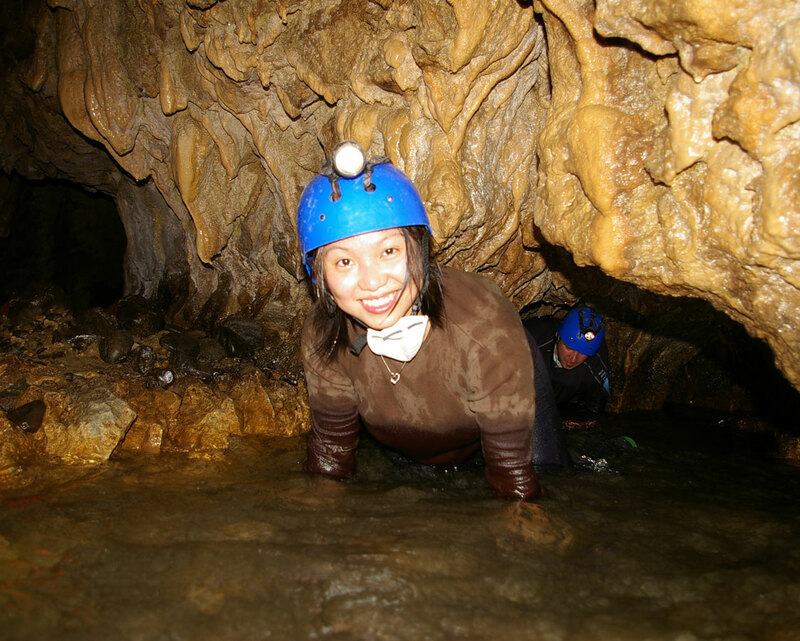 We’ve toured Gua Tempurung here in peninsular Malaysia a few times, but my little sister isn’t yet big enough or tough enough to tackle the longest tours, in which you get soaking wet and have to belly-crawl through an underground river. We do take her for the shorter, less strenuous tour, though, and she loves it. I’m so claustrophobic that reading about that cave in Costa Rica gave me goosebumps!!! I’ve been in the caves in Petra which were really great – especially as I was there in October during a dust storm and we just wanted to get out of the heat! Great read! Your pictures are phenomenal! I want to explore these caves myself, without kids haha. Great post, would like to read more! How cruel for putting all these amazing caves in front of us. If I had to choose I’d pick Bermuda and the ice caves first. I don’t have kids but I’d be happy to be a big kid and visit these. I love the ice cave in Austria. It looks totally awesome. This is not something I would ever have thought of doing with my step-kids but then I caved once in New Zealand and got totally claustrophobic! I can imagine young ones loving it though. Small places definitely aren’t for everyone. I remember being very scared of them when I was younger. I love that you have included the ATM Caves on this list. It is definitely a little more difficult than your standard cave visit. We went earlier this year and literally had to swim out the majority of the way back (in addition to the small swim when you enter the cave mouth). There are some narrows rocks to squeeze through but kids would have no problem with that. ATM is such a cool experience. I’m tempted to go back to Belize just so I can visit again! This was an interesting read. I love caves. What an amazing day I had exploring the natural caves in Budapest! I always loved caves, since I was a child, and in Italy we have some nice examples, but nothing compared to some of the ones I saw here! Hi Luca, the Werfen Ice Caves are in Austria. Thanks so much for catching that I hadn’t placed it in the article. I’ve fixed it. This looks awesome! I don’t have kids, but I still want to go to all these caves and explore. Good to know they’re kid friendly too. I remember my babysitter taking me to a cave in PA when I was kid and being totally enthralled! Thanks so much! The caves in Vietnam are an absolute bucket list item for us! And we are heading to the Philippines next year and can’t wait to explore the underground river. What a wonderful collection of caves! We don’t have kids nor do we go caving much, but I think these would be awesome caves to explore regardless of whether you meet either of these pre-requisites! It’s crazy how you can head out and stumble across caving systems pretty much anywhere around the world and I really would like to start exploring more of these. Heather is a little claustrophobic so I think that’s one reason why we don’t head into caves much but after reading these, I am sure we may be convinced to experience more! Wow these caves all look amazing!!! I definitely want to check out Petra and Bermuda caves asap. They look awesome! Thanks for sharing! I don’t have kids yet but as a teacher I’m always thinking about how my life will change… one day. After trekking through Hang Son Doong 2 years ago I suddenly got excited about caves. So happy you made this list! I admit that I am not well-travelled as I haven’t experienced visiting caves (oh I’ll need to add this to my list). It would be exciting to know and learn the early civilization living in these caves, and how they survive during their years. Kudos for your little explorers! Caves are really amazing. Your post makes interesting reading and the pictures have come out very well, considering poor lighting conditions. What an amazing list of caves. Exploring these with kids must have been a real fun experience. I think most children love an element of mystery and the caves are a great way for them to experience adventure. I personally love to explore subterranean caves, they have such a mysterious atmosphere. I forget how cold caves can get, especially as you’re going further and further down. Western Australia’s South Region of Margaret River have some really well known caves that you could visit too! Jewel Cave, Mammoth Cave and the Lake Cave are iconic, sitting along Caves Road. Lots of stalactites and stalagmites too! Thanks for sharing! You’ve listed so many nice and interesting caves. It’s certainly a fun activity to do with kids! Wow! I thought I loved caves. You guys are impressive! I used to give cave tours in Sequoia National Park and took teens caving in West Virginia, but we’ve only taken our kids on a few developed cave tours. Now, I am inspired to find more. I remember, as a kid, bugging my parents about visiting certain caves, and being enthralled when we actually got to do a few. There’s something about caves, methinks, that fascinates children, so how neat you got to endulge this. Awesome! I love visiting caves! I have not explored any of the caves on your list YET but they all look like great ones to add to my list! Great list of caves! I have been only to Grand Canyons Caverns! Have pinned your post for some inspiration! This is a great list . i recently went to Llandudno, Wales. the caves in the Great Orme are kid friendly too. In fact, its a real short distance from the beach so you can actually walk it to the top, or hire a tram which stops near the caves so that if you want you can get down explore the place and catch the next train to continue sightseeing. Thanks! Another great cave to check out! As an expectant mom, one of the things we’re looking forward to is exploring the outdoors with our kids while we travel. Thanks for the suggestions! Would love to experience Easter Island one day! Another great cave system we used to go as kids is Camuy Cave System in Puerto Rico, great memories! Congratulations! So great to hear that you want to get these kids outdoors! I’ll look into the Puerto Rico caves for our next chance to visit! I just did the North Coast 500 with my daughter, around the north coast of Scotland, and we visited the Smoo Caves in Durness. You can go in a dingy right into the cave and watch the waterfall. Perfect for kids. Now I have a whole list of other caves to visit too! Great post! We have some sea caves near us (Southern California) that are amazing! If you’re ever in this area (San Diego and Laguna Beach specifically), you have to check them out! Definitely! We’ve been kayaking near the ones near La Jolla. They were a real treat. What a great way to get your kids to be more adventurous! I think that of these, my favourite must be the Crystal Cave. Beautiful pictures anyway! This sounds like an amazing place! I’ll add it to our list of places we need to see with our kids! Christina, this is such an amazing list of caves. I never knew there were caves in Jordan, I really want to visit them. You might be interested in Cappadocian caves as well. They have underground cities that go down to eight floors. Your kids are going to grow up with such wonderful memories! They already seem to be mini adventurers! Wow, those are some lucky kids! Definitely pinning for later. Great post! LOL, I think as you get older, the spaces seem smaller! Great list Kevin !! We recently visited caves in Dinant, Belgium with our daughter. As you said guide is really required for one to understand the history, geography of the place and must say it’s really interesting !! Thanks for sharing adding them bucket list. 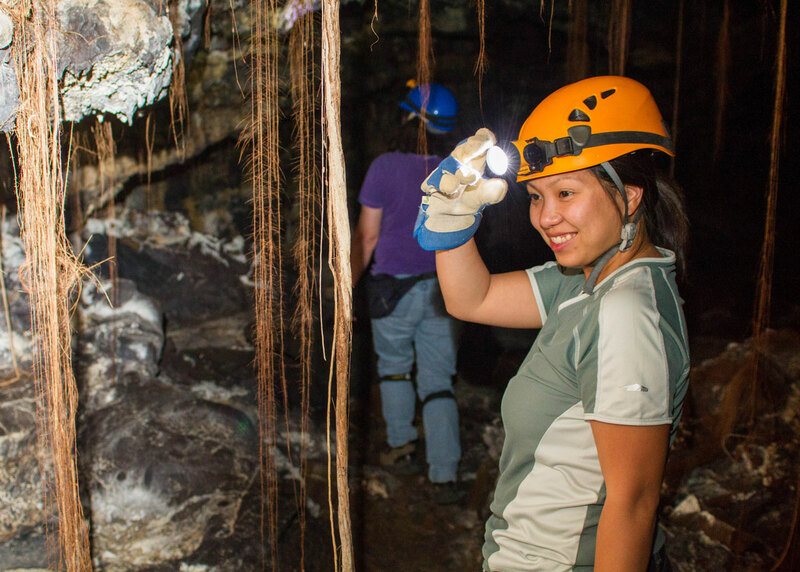 Thanks for adding another one to our list of great caves to visit! I didn’t know there were caves you could explore near the Grand Canyon. Will have to keep that in mind when I visit soon. I’ve only been to one cave in Slovenia and the experience is definitely unnerving so I can definitely understand if kids get a bit freaked out. Good for you for pushing their boundaries though! Your kids are definitely going to grow up to be adventurers. What a great way to expand their horizons, by, er, limiting them in dark caves. Haha. Really cool ideas here, I want to see the mummified bobcat! That would be wonderful! Till then, keep exploring! This is awesome! What an education your kids are getting. Petra has been on my list for a while now, but Crystal Caves has now been added as well. Magnificent! 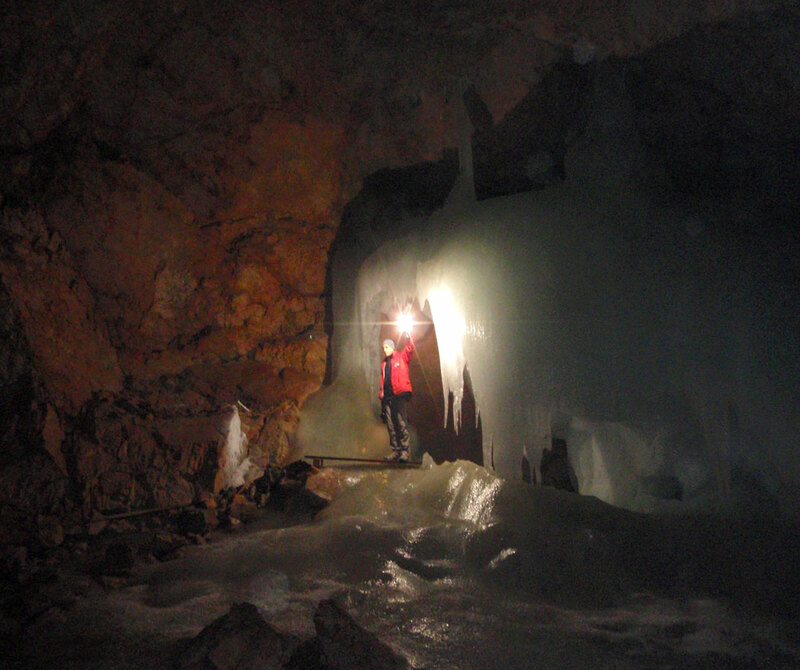 I’ve been to Werfen Ice Caves in Austria and ATM in Belize. Amazing how the underground world can be so different! That sounds so exciting! I don’t plan on ever traveling with children, but I think those caves sound like great places to visit even without kids. And I had no idea there were caves like that in Bermuda. I love visiting caves too! I’ve been to a few in the states and also in Ecuador. Your kids are definitely going to have some great memories! Caves have always fascinated, and I especially enjoyed them as a kid. I love this selection and that you added the more difficult ones as well. Some of these have been on my to-see list forever. Though I am pretty sure I’d have more trouble as an adult with the scary, tight squeezes than I would have had when I was younger. This is such an amazing list! My brother has been meaning to take the kids to more nature-y stuff and this is just right up his alley. Thank you for these! That mummified bobcat is intense! As for kid friendly caves Kevin we saw one in Ke Bang National Park, Vietnam, but only partial. Yep it had the requisite reckless SE Asia safety standards – loosely used term there – with slippery stairs and dark descents in many areas. But half of the place was friendly to almost any visitor. Which is not good enough for a kids visit LOL. I’ve been to Jordan and to Petra, but I didn’t visit the caves!!! I definitely need to go back then, of course with pleasure since I wuld never got tired to see the treasure as well. Wow! What an amazing collection of memories you have here. I love caves, but sadly am claustrophobic so don’t explore them too much. My husband loves them and will choose these types of excursions frequently! Kevin, I have bookmarked this post for future reference. Oh my god,I so need to visit these caves. I am actually feeling a kid-like excitement right now after reading about these wonderful caves. 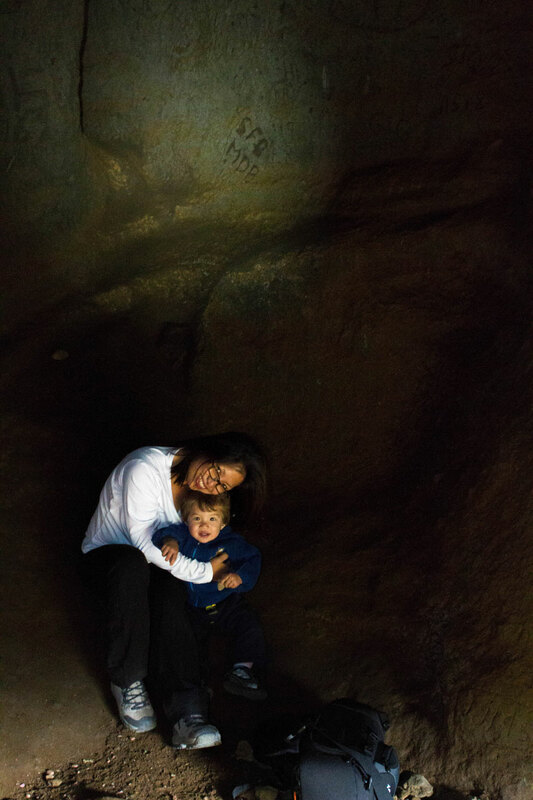 I am sure your boys loved these caves and every other adventure they get to experience with you. Great work by you both to show everyone how to travel with kids. What a great list! My son and I have done a few caves but not many. My partner would love to explore more caves but she may be a bit more adventurous than I am! Thanks for the helpful info! Wow what incredible caves! I am hopefully going to Jordan next year so I will be ticking that cave off the list! These caves are breathtaking and so versatile. I would visit even without yet having kids! Oh my goodness; some of these look absolutely breathtaking! I don’t have kids (yet!) but would love to go exploring a couple (or all) of them with my family! What a great idea to have a selection that is kid friendly! Perfect for traveling families. Look at you guys spelunking with the kids! Kudos to getting them out in the world!! We love traveling and hiking with our kiddos, too! We have seen some caves but none have involved climbing or hard hats…maybe another time! Our favorite cave so far has been Hercules Cave in Morocco – the opening to the sea is the shape of Africa. The kids loved it. Great list of places we want to visit in the future!! This list of caves is no doubt a ‘must to visit’ list. My children and I were planning on a trip this summer, but we really didn’t have ideas on where to visit. You have provided us with so many ideas, I really appreciate that.